Prenatal classes in the Beaumont/Port Arthur Texas areas. Prenatal Private Yoga Lessons in your home. Either at Beaumont or Nederland Texas Exygon location, or in the privacy in your home. Please call Registered Prenatal Yoga Teacher, Gail Pickens-Barger at 409-727-3177 for further inquires. Thank you! 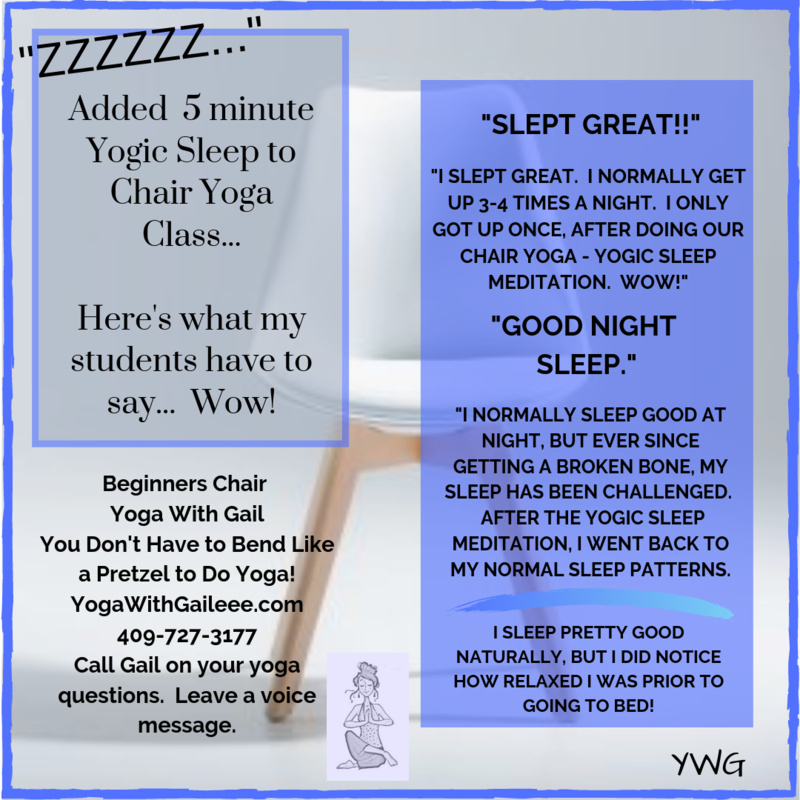 What some of my Prenatal clients have said about the Yoga that I teach…. From Cryss, a prenatal student. Sara Varona, Teacher of RestoraFlow Yoga style, has provided an excellent visual aide, of how to use the birthing ball, or resist-a-ball, in her latest YouTube videos. On her Youtube she has four videos, about 10 minutes in length, that shows various ways to use the birthing ball, and you never get up off of the floor. Which is a bonus sometimes, when you get late into your pregnancy. Sara is 9 months along when demonstrating these postures. Listen real carefully, as she gives you modifications and suggestions for the different yoga poses. Here is the link to the first Prenatal Yoga Birth Ball video. I wished that these videos were around when I was pregnant, because I was inventing things to do with the ball, based on some books that I had, and other exercise maternity programs. I do have favorite videos on prenatal yoga, but none that used the birth ball, and these videos have enough modifications for beginners, and advanced sections for those of us, who can handle a bit more. But as always, listen to your body, become aware of your breath…if it is somewhat ragged, that is your number one clue, that you are doing too much! Enjoy these videos, and if you have comments, come back here, and we will discuss them! Have a pain free delivery…. Positive effects of the practice of yoga for pregnant women. Read about the benefits! Ob/Gyns, Midwives, and Mothers-to-be have been stunned by the research about how yoga lessens the pain of labor and delivery. The practice of yoga has many positive effects on pregnant women. Yoga includes physical stretching, mental centering and breath awareness. This makes it ideal preparation for labor and childbirth. Yoga may help relieve many of the common discomforts of pregnancy, such as lower back pain, nausea, insomnia, carpal tunnel syndrome, and headaches. Yoga encourages pregnant women to be mindful of the body’s innate capacities and to recognize the connection among mind, body, and breath. Yoga techniques also may be useful in promoting postpartum recovery and coping with the stresses of parenting. Prenatal Yoga site….Beth Shaw’s Update Book! Here is a site to look at for some prenatal poses. Beth Shaw has her new book out! Eight years after the release of the first edition of Beth Shaw’s YogaFit, the woman responsible for the trademark combination of cardiorespiratory exercise and yoga poses brings more detailed instruction and content to the unique book. The new edition of Beth Shaw’s YogaFit (Human Kinetics, 2009) expands on YogaFit’s methods, providing a total-body workout that emphasizes strength, flexibility, and aerobic fitness. Champaign, IL (PRWEB) January 1, 2009 — Eight years after the release of the first edition of Beth Shaw’s YogaFit, the woman responsible for the trademark combination of cardiorespiratory exercise and yoga poses brings more detailed instruction and content to the unique book. The new edition of Beth Shaw’s YogaFit (Human Kinetics, 2009) expands on YogaFit’s methods, providing a total-body workout that emphasizes strength, flexibility, and aerobic fitness. Beth Shaw founded YogaFit in 1994, creating a program that addressed the difficulties yoga faced in the health club setting–bright lights, cold rooms, and clients of various sizes and fitness and flexibility levels. Since its inception, YogaFit has trained more than 75,000 fitness professionals and yoga instructors at facilities in the United States and Europe, and it has been integral to yoga’s adoption in health club and spa programs throughout the world. Beth Shaw’s YogaFit, Second Edition, has been updated to include more in-depth instruction, illustrated poses, and focused workouts. Shaw also provides new information on warming up and cooling down, building core strength and stability, eating healthfully, and integrating YogaFit principles into daily life. YogaFit promotes living a balanced life and is active in giving back to the community through outreach programs from their corporate headquarters and partner studios. To gain a certificate of completion, participants in the YogaFit Teacher Training must donate eight classes to a group of people who normally would not have the opportunity to take yoga. About the author:Beth Shaw, president and founder of YogaFit Training Systems Worldwide, Inc., is recognized throughout the United States and Europe as one of the leading experts in fitness today. She also stars in her own exercise video, Beth Shaw’s YogaFit Workout. Her accomplishments don’t stop there. She is also an award-winning producer of YogaFit TV and a recipient of the Enterprising Women of the Year Award. She has been published in numerous consumer and fitness publications, including Shape, Athletic Business, Fitness, Yoga Journal, CBI, Fitness Product News, Recreation Resources, IDEA Today, and LA Parent. When not teaching and lecturing internationally, Shaw enjoys reading and taking long bike rides along the beach. She resides in Redondo Beach, California.